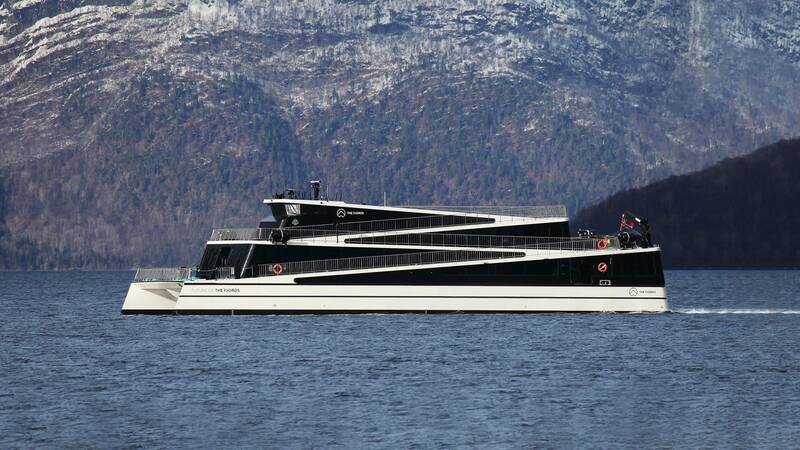 The Fjords will add another all electric passenger vessel to its fleet Legacy of The Fjords which is now under construction at Brødrene Aa. 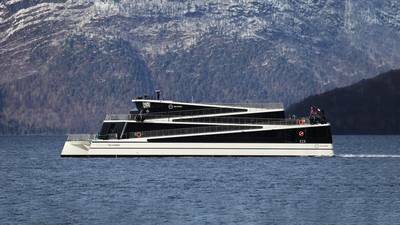 While the operator is certainly not new to the innovative, zero emission ferry market, this 400-passenger, carbon fiber catamaran is unique in that it marks the company’s move into a new operating area: Oslo. Currently The Fjords operates 11 vessels serving Western Norway’s fjords area, Vision of the Fjords and Future of the Fjords serving as the flagships, sailing daily between Flåm and Gudvangen. The company’s stated mission is to provide an optimal passenger experience while safeguarding the unique environments the ships give access to. Norwegian Prime Minister Erna Solberg will officially announce the plans for the vessel today when she takes the role of Future of The Fjords’ Godmother in Gudvangen. Here she will confirm that the new ship will receive support from state run organisations Enova and the NOx Fund, conceived to help enable low emission technology. 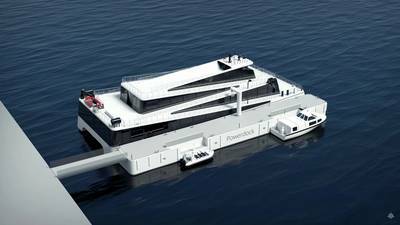 Legacy of The Fjords will employ a specially constructed Power Dock (a floating charging solution originally designed for Future of The Fjords) allowing it to refill its 2.4MWh battery capacity in just 20 minutes. The Power Dock bleeds energy from the local grid throughout the day - while also storing consumables, fuel and waste for collection – and in doing so avoids unsustainable, expensive power surges. Its ability to store grey and black water also ensures zero emissions to water, as well as to air. “This is a considerable investment,” Sandvik said, “but an important one. From a growth perspective it marks a new phase for the business, but, more importantly, it also shows other operators here and around the world that it is possible to operate with the utmost environmental care, while providing sensational passenger experiences, in cities as well as natural landscapes. The Fjords is jointly owned by tourist body Flåm AS and Norway’s leading ferry company Fjord1. Westcon will provide the battery solution for Legacy of The Fjords.